A sliver of extreme conditions disappeared from western Mesa County, leaving most of the county in severe drought. Extreme drought lingers in the eastern portion of the county. 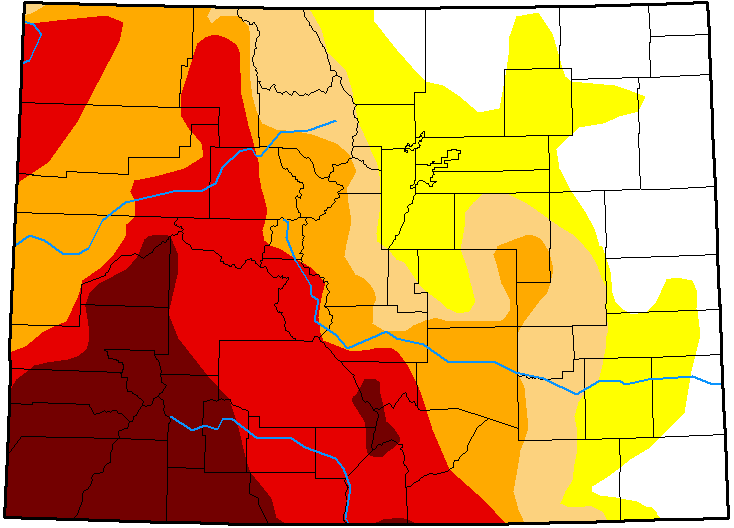 Extreme drought also gave way to severe conditions across Summit County, as well as eastern Eagle and Routt counties. Clear Creek and Grand counties similarly saw extreme drought shift to severe. Severe drought turned to moderate for western Jackson and northern Grand counties. Smaller changes were recorded in other north central Colorado counties. Overall, 17 percent of Colorado is drought-free, and another 17 percent is abnormally dry - both unchanged from the previous week. Twelve percent of the state is in moderate drought, up two points, while severe drought is unchanged at 20 percent. 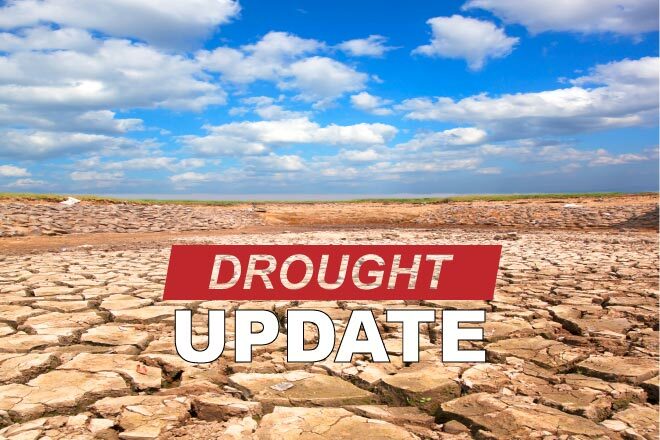 Extreme drought dropped to 22 from 24 percent, while exceptional drought was down one percent to 13. Over the summer, nearly 50 percent of Colorado was in extreme or exceptional drought, which has dropped to 35 percent over the course of October. One year ago, 71 percent of the state was drought-free, while 28 percent was abnormally dry. 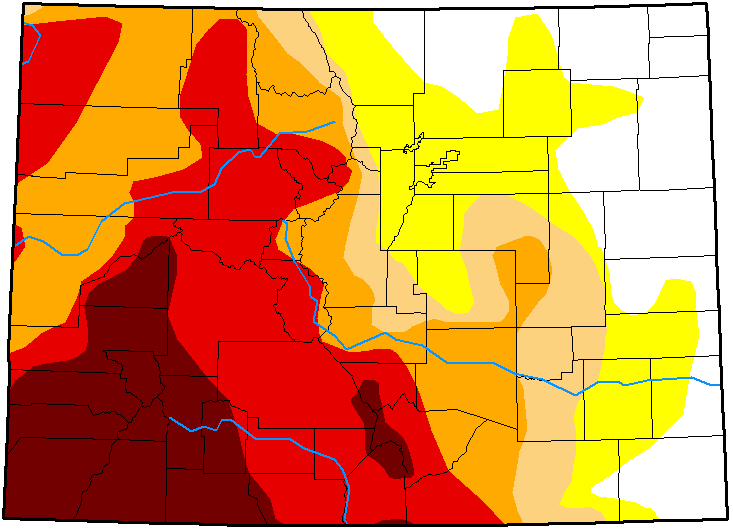 One percent of Colorado was in moderate drought.